How An Aircraft Can Fall From The Sky Midflight : The Two-Way There's much conjecture about what happened to Malaysian Airlines Flight MH370, which disappeared over the weekend. But planes can experience everything from bad weather to technical failures. Brazil's navy sailors recover debris from Air France Flight 447 in the Atlantic Ocean on June 8, 2009. It took until 2012 to detail what happened in that crash. There's always a risk in flying, but the phase in which a plane is cruising at high altitude is widely considered to be safe. And that's what makes the mystery of what happened to Malaysian Airlines Flight MH370 so confounding. "Whatever happened happened quickly and resulted in a catastrophic departure from the air," Mark Rosenker, former chairman of the National Transportation Safety Board who is now a consultant with CBS news, told NPR's Melissa Block. "All we know for sure is that a plane went down with no warning or communication from the crew. That the crash did not happen during takeoff or landing — the phases of flight when most accidents occur — somewhat limits the possibilities, but numerous possibilities remain. The culprit could be anything from sabotage to an in-flight fire to a catastrophic structural failure of some kind — or, as is so common in airline catastrophes, some combination or compounding of human error and/or mechanical malfunction." An aircraft undergoes two kinds of routine stresses: a mechanical stress on the cabin caused by the pressurization and depressurization cycle that happens on each flight; and stress on the plane when it lands. The structural fatigue and damage they cause "are typically taken care of by periodic maintenance," Todd Curtis, an aviation safety analyst who now runs the AirSafe.com Foundation, said in an email. The Malaysian Airlines Boeing 777 was last inspected just 10 days ago and was said to be in proper condition. The 777 is a long-haul aircraft that is regarded as safe. According to the National Transportation Safety Board, it's had about 60 incidents since it entered service in 1995. Takeoff and landing are typically the riskiest portions of the flight. A Boeing 777 operated by Asiana Airlines was involved in the crash at San Francisco Airport last year that killed three people. But the en-route portion of the flight, which the Malaysian Airlines flight was on, is seen as the safest. According to a Boeing analysis, only 9 percent of fatal accidents occur at cruising altitude. "Cruise is generally a pretty good place," says David Ison, assistant professor at Embry-Riddle Aeronautical University, who was a transport pilot with international and transoceanic experience. "There's stable conditions. The weather at higher altitudes is generally better. The only issue is turbulence and sometimes thunderstorm activity." While weather is a factor at higher altitudes, Flight MH370 was traveling in good weather conditions. "Weather can be a factor, but it is unclear if it was a factor in this event. One factor that was happening during this event was that the aircraft is flying over the ocean at night. Under these visual conditions, the crew may not be able to look out the window and use the horizon as a sort of backup aircraft altitude indicator. This may make it harder for the pilots to recover the aircraft if it gets into an unusual attitude." Catastrophic failure can affect one or more critical aircraft structures or systems, making it difficult or impossible for the crew to safely land the aircraft. There are exceptions to this, of course. The most famous being the "miracle on the Hudson" in 2009, when U.S. Airways Flight 1549 took off from LaGuardia Airport in New York, struck some birds on its way into the sky, lost both engines and was then successfully guided to a safe landing. Curtis says, "Because many aircraft systems have backup systems or backup procedures, it usually takes multiple failures to occur before those failures are considered catastrophic or potentially catastrophic." 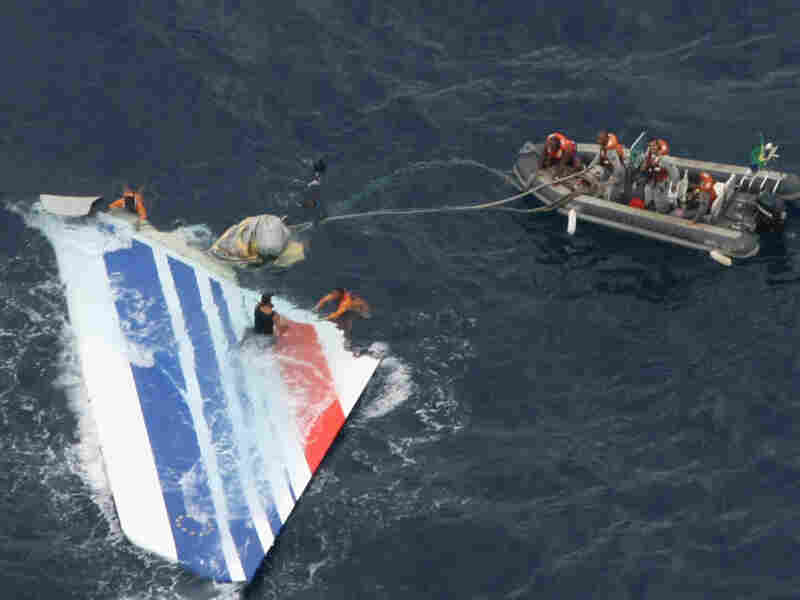 One example of this is Air France Flight 447 that crashed over the Atlantic in 2009. An accident report blamed faulty air speed sensors and pilot error for the crash that killed 228 people. Ison of Embry-Riddle notes that aircraft today are so reliable that technical failures are highly unlikely in regular operations. In 75 percent to 80 percent of such cases, he notes, the error is human — either by the pilot or by air traffic controllers. Sabotage is the single-biggest reason for en-route accidents, writes Max Kingsley-Jones, a reporter for Flight Global, an aviation magazine. "Including the MAS 777, Ascend Online shows that a total of 46 western-built jet airliners have crashed with the loss of all on board while in the en-route phase. Of these, 13 were caused by sabotage, two more by hijacks and one was shot down. Three more were caused by undetermined causes where flightcrew suicide is suspected." And, he notes, "In some cases, in-flight events happen so rapidly that the flightcrew are unable to issue any form of mayday, but it is extremely" unusual. When faced with a crisis, the main job of the pilots is to maintain control of the aircraft. That may explain why there was no communication from the Malaysian Airlines plane. "If the pilots are distracted doing something else, then talking to air traffic controllers is not a priority," said John Cox, a former commercial airline pilot who is now CEO of Safety Operating Systems. Ison notes that in the event there's no communication, it could mean that something catastrophic has happened, or simply that the crew was unaware of what was happening. That was the case, he says, with Air France Flight 447. The pilots "didn't communicate [with air-traffic controllers], even though they had an opportunity to," he said. The black box recordings in that case showed that the pilots seemed unaware that the plane was going to crash until just seconds before they hit the water. The black boxes on that Air France flight were found two years later, and it took investigators until 2012 to piece together what happened on Flight 447. That may also be what's in store for Malaysian Airlines Flight 370. "Of course, once this plane is found, it'll be much more clear what may have happened to the aircraft," Curtis said. "In any case, it may be months or years before the true nature of this event is understood." Ison, however, said there's no reason why it takes so long to locate an aircraft after it goes missing. "In this day and age, having no ability to pinpoint these aircraft is really not acceptable," he said. "We have technology to make it happen. We really need to do something ... so we can prevent the loss of aircraft." The holdup, said Rosenker, the former NTSB chair, is cost. One recent study said a U.S. airline with a global network would have to spend at least $300 million per year to transmit its flight data.